Tis the season for all things pumpkin and so in place of the usual weekly cocktail, I wanted to share the recipe for this pumpkin bread I made last week. While I have made plenty of pumpkin cupcakes in the past, I'd never made bread. It took a very long time to bake, which I assume was partly because I dumped all of the batter into one pan instead of two, but it came out so good. Every bite was full of autumn goodness, cinnamon, nutmeg, and cloves. Yum. It has already been requested that I make more, as well as those cupcakes, but mostly just the chai cream cheese icing which would go beautifully with both. Preheat oven to 325° and grease baking pan. In a medium bowl combine flour, salt, baking powder, baking soda, cloves, cinnamon, and nutmeg and set aside. In a large bowl use an electric mixer to beat softened butter and sugar together until just blended. Add eggs one at a time and beat until the mixture is light and fluffy. Add pumpkin. Slowly add flour mixture until combined. Pour batter into pan and bake for about 60 - 75 minutes or until a toothpick comes out clean. Yum!!! 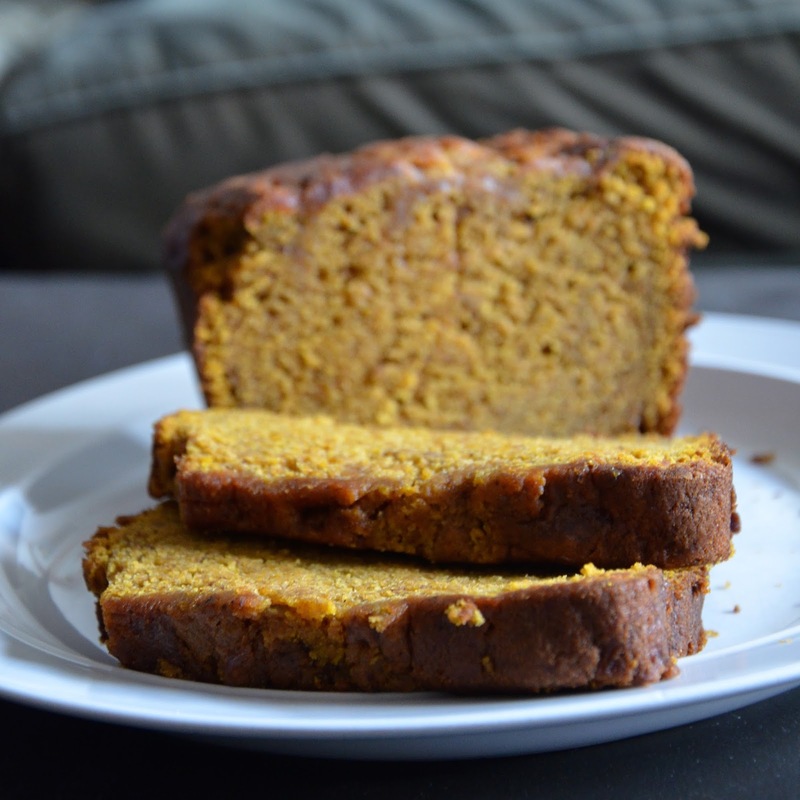 I love pumpkin bread, especially toasted in a skillet with some honey- it's my kiddos fave! This looks so good! I've never tried to make homemade bread but maybe I need to give it a try! For all the breads I've made - pumpkin is one I've never tried!! Thanks for the recipe! :) Happy Friday! Literally my favorite thing! Thanks for sharing and have a great weekend! 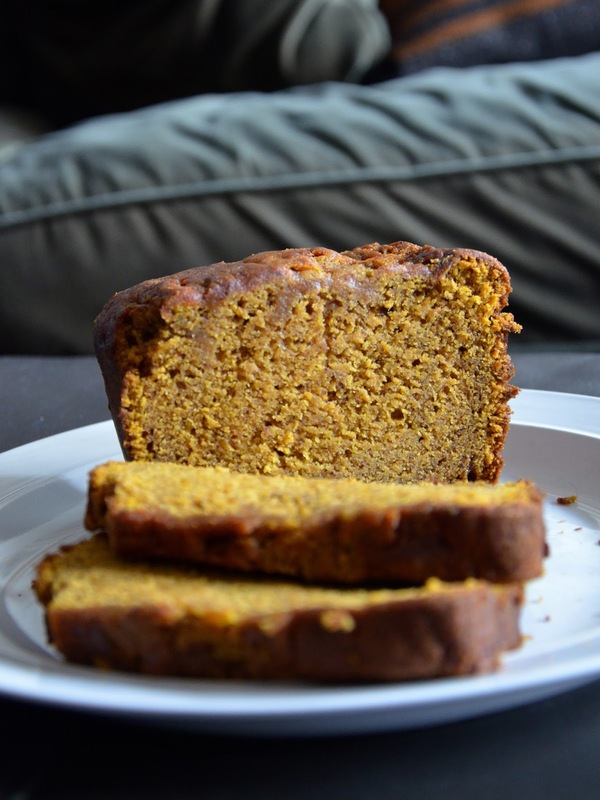 Pumpkin bread is one of my favorite things about fall! Thanks for sharing! I'm definitely going to make this on my day off next week! Looks delicious. Can't wait to try this one out! Just by the pictures you can tell how moist it is and I can practically smell all of the spicy goodnes. Thanks for sharing and have a great weekend! Oh my gosh yumm!! 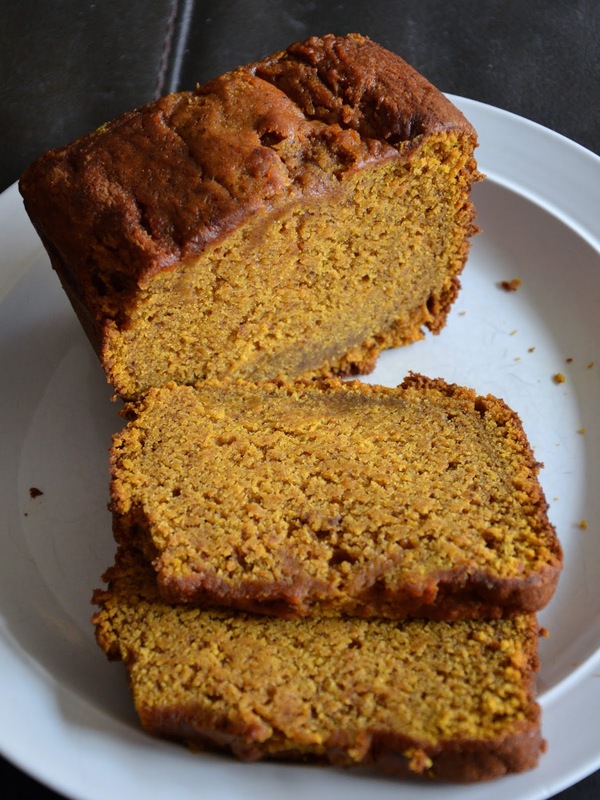 Thank you for sharing a recipe that actually uses the whole can of pumpkin!! I made a recipe and accidentally used a whole can and it was too much...it turned into a pumpkin blob instead of pumpkin bread! I can't wait to try this! Oh my, that looks so delicious and moist !! !